At the age of 29, Travis has made millions of dollars in retail sales and he has never had a “job”. He has turned his passion into income. However, Travis has not always been a successful entrepreneur. Before he decided to dedicate his time to startups he was just a normal guy that followed his passion. What interests him most about being an entrepreneur is the freedom it births. The freedom to be creative and get rewarded. Travis is not the first person to question traditional employment and pursue his/her passion. Many people are just not sure if they are cut out to start up their own business. 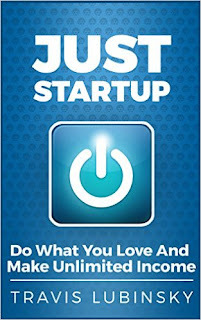 After reading "Just Startup" you will have a better understanding of the challenges ahead and whether you have the character and determination to succeed. You will be reassured that qualifications are irrelevant, and read stories about how a normal guy succeeded against the odds. Travis is the Co-Founder of Flex Watches. He is a highly accomplished and goal-oriented professional, with extensive years of experience in leading sales, developing business ideas, and promoting brands (including celebrities). He is well-versed in analyzing market trends and activities, prospecting, sourcing, and establishing strong relationships to drive revenue goals. He is adept at creating marketing plans, strategies and promotions to optimize business performance and expand territorial coverage. Travis is also an analytical problem solver, proactive team leader, and start-up specialist. He has a proven track record of delivering unequaled service in manufacturing and Retail Sales. Travis has held over 50 licenses including The WWE, Stand Up To Cancer and The Special Olympics. He has also worked with a number of notable clients including but not limited to; Tyga, Paris Hilton, Lululemon, Toyota and Facebook. Is Benny telling the truth this time? Everyone knows Benny is a liar. He's fun to be around because his stories are so interesting, but no one trusts anything he says. Not even his best friends, Henry and Jenna. 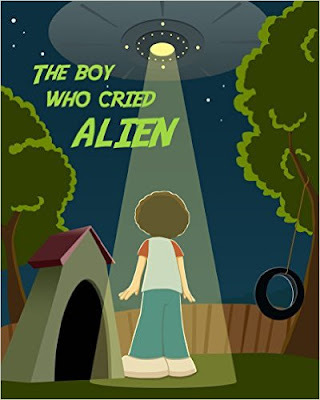 When Benny shows up one day at school claiming that he's really an alien who has taken over Benny's body, everyone thinks it's just another one of Benny's stories. But before long, Henry and Jenna begin to wonder if this time, Benny – or whoever is in Benny's body – might be telling the truth. Will they be able to find out the truth and save their friend before it's too late? Large Landscape and Nature Prints, Black and White Photography, Rustic Decor and Gritty Photography. 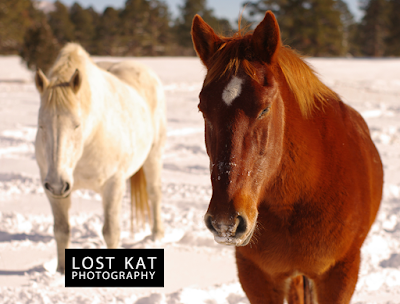 I specialize in travel photography and artistic nature prints from all around the US. 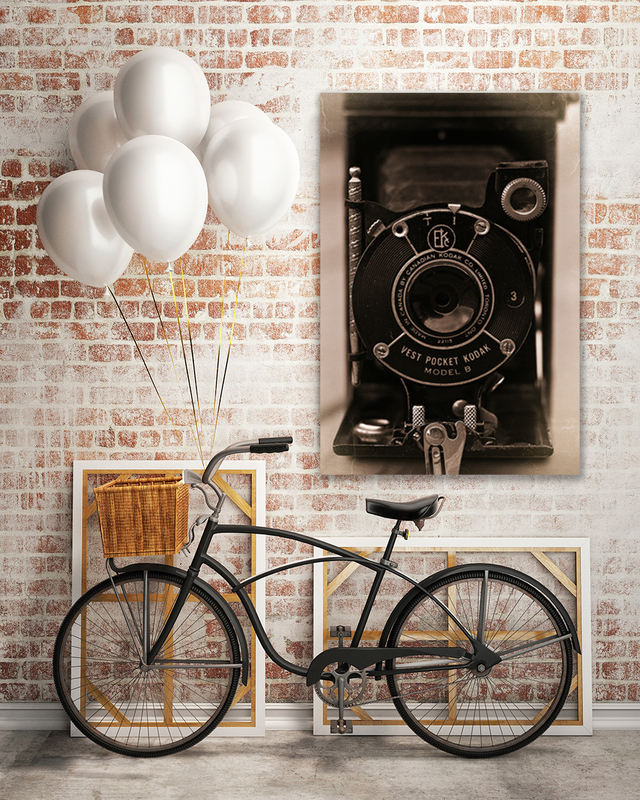 I also offer metal prints, gallery wrap canvas and prints of all sizes. I've been shooting for 20 years and graduated from Portland State University in 2008 with a major in liberal arts, focusing on Photography and film studies. I have since been traveling full time, taking photos around the US and Europe. I shot 35 mm film for years, but mostly shoot medium format and digital now. My shop features everything from black and white photography and nature prints to Colorful, Gritty, Street Photography. I love Southwest Scenes and Rustic Cabins, epic nature and all its details. Some of my work includes Southwest Photography, Colorado Photography, Argentina, Mexico, Texas, New York, New Mexico, Canada, Montana, Oregon, Florida, Spain, the United Kingdom are just a few of the places I travel - always with a camera in hand! All photos are signed by the artist and packaged carefully. Enjoy, and please share with your friends! See my newest work at http://lostkat.com or follow me on Instagram and twitter! View all of Lost Kat's stunning artwork here! I have been buried deep in the grains of photography since I was a teenager, enthralled by nature and the details of life. Desolated places, abandoned buildings, striking landscapes and strange creatures are my forte. Since 2005, I started to travel more and more until I was doing it full time, starting with a two week trip to Argentina that inspired me to move there for a year. 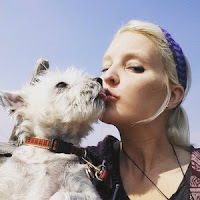 Now, me, my boyfriend and our pets travel the U.S. in an RV, working on our computers during the week and seeing everything we can on the weekends. There isn’t much more I want to do with my life than travel, take photos and see amazing places and animals. Long term we would love to move to another continent that will provide as much endless beauty as the Americas. More about me: I love animals, I’m vegan, I ride a dualsport motorcycle, Science is awesome, I love Star Trek and Skyrim. I’m a major nerd. 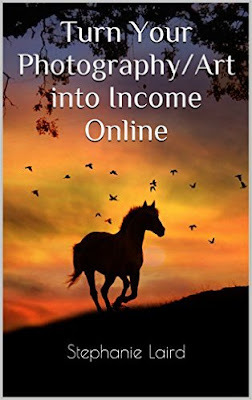 This book focuses on ways to make income with your photography/art online. 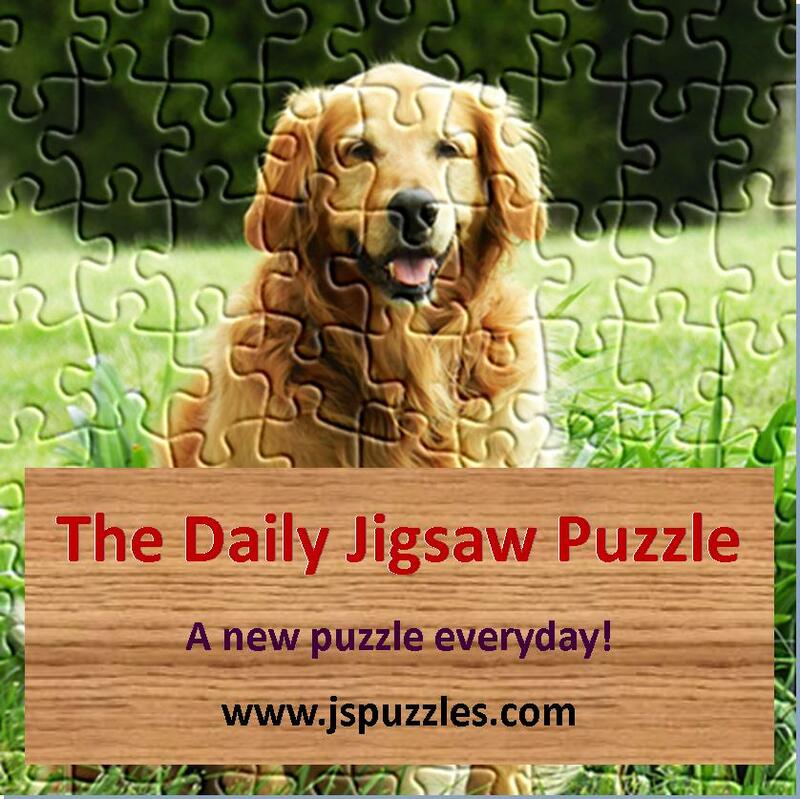 It goes into Zazzle, Fine Art America and other sites. This is not a technical how to book (the sites have all that info for you there) but more of what has worked to generate sales for my photo-art. I am also very excited to include interviews with 3 other photographers that have met with success selling on these P.O.D. (print on demand) sites. This book is designed to give you examples of best sellers, a few do's and don'ts, and will hopefully give you ideas of what may work for you and your photography/art on these sites! Although this is based on photography, art works just as well on these sites. As with all my books, they are short and to the point (hence the $1.99 price) as I believe all of our time is valuable. I try not to add information that is readily out there. Whether a professional or hobbyist, I think you will find value in this book. 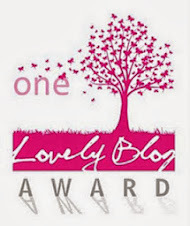 I am an award winning photographer. I can tell you I have literally made thousands of dollars on Print on Demand sites and my sales continue to grow every year. There is no cost (or very little) to submit or post on all these sites. Most of all, it's fun to have your work out there and being not only admired, but purchased as well! Thank you for your interest! Hello! My name is Stephanie Laird. 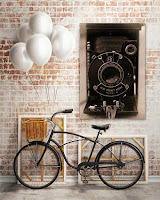 I love photography, it's my life! Thing is I am not a "great photographer". I would enter competitions and usually not do very well. My images were, well, boring. That was until I found Adobe Photoshop Elements. That opened an amazing new creative world for me. 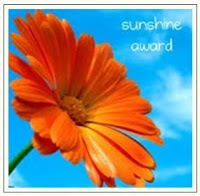 My images have been used by major greeting card companies such as Leanin' Tree and ASAP graphics. They have been sold under fine art licenses and have been used as book covers, CD covers and Magazine covers. I have been published as contributing photographer to the Haven Magazine, a showcase of beautifully styled homes, The Parade Magazine, Photographer's Edge, Animal Talk magazine and lots others, too numerous to list here. Competitions (one of my favorite things to do now) are way too many to list but include First Place in Betterphoto's international competition with over 30 thousand entries, Best of Show at the California Mid-State Fair for 2009 & 2010, 2013,1st for Professional Artistic in the Equine Photographer's Network's annual photography contest and a whole lot more. But I love to share what I have learned with others, and I encourage you to just start using Photoshop Elements. It's fun and you will surprise yourself with "the creative genius" that you are! 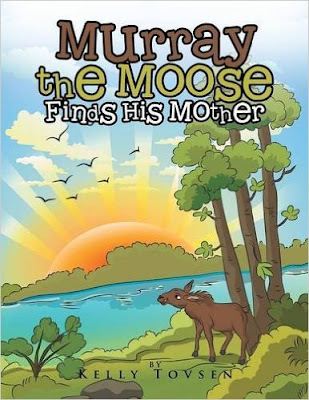 Murray the Moose Finds His Mother is intended to relate to the fears children sometimes experience while growing up. In nature, moose calves generally become separated from their mothers at around one year of age. Murray doesn't handle this separation well but overcomes his fear of being separated from his mother simply by growing into a large bull and realizing he no longer needs her. She has done her job and taught him well. All of Kelly's stories use different Alaskan animals to deal with the trials and triumphs of growing up. Look for Penny the Puffin Learns to Swim as the next title in this collection of Alaskan wildlife stories where Penny has to overcome being teased by her peers in order to learn to swim. Kelly originally wrote her collection of Alaskan wildlife children's stories to read to her own children when they were young. Now that her toughest critics are grown adults, they still have fond memories of these stories. Kelly has called Alaska home for thirty-three years. Since retiring from opticianry in 2014, she has found time to pursue other interests, like writing. She and her husband, Oliver, live on the beach in Happy Valley, Alaska, with their two Welsh corgis, Nikko and Molly. There are many women in the world that believe it is unprogressive, some going as far to say that it's downright insensitive to say that women belong in the home, but that isn't what I'm saying at all. I'm simply saying that in most cases for women, there is a desire to not just maintain the home, but watch after the children. Whether it be maternal instinct or social conditioning is a debate for another day, but it's something that is definitely ingrained in the hearts and minds of women everywhere. The painful truth of feminism is that women in most cases at least have the ambition toward being a mother and an astute wife. With that said, there are a variety of reasons why a woman may want to be a good homemaker. A present wife and/or mother is something that is not only important to have as a component to a family, but is essentially the heart of the family, or metaphorical glue. It holds the family together and brings in the nurturing love that men seem to lack, and as a consequence, need so much. Men are a lot like babies for their entire lives really, constantly in need of nurturing and attention, and the duty of the woman throughout most societies is to be the source of this nurturing, the beacon of light that instills love wherever it goes. If viewed as a duty, it is possible to be a bad wife, especially if you have the desire to be a good wife. If you don't have the desire to be a good wife then this book probably isn't for you - you'd be more interested in some sort of specific topic or some other purpose you've invented for yourself, but for the rest of womankind, I welcome you. This book is broken up in sections of the house. For example, chapter 3 talks about how to maintain the kitchen while chapter 4 explores the fascinating intricacies of keeping a bathroom sparkling, and so on and so forth. Life is a lot like a house, with various rooms and various problems. As a wife, you will run into more problems than keeping the house clean, but it's important to get the basics down so that you can give your full attention to the real problems at hand. Housekeeping, after all, is just one of the many rooms in a wife's life, but that's exactly why I wrote this book - to substantiate the importance of keeping the home clean and how it serves as a foundation for the rest of a wife's work. Love cannot spread if it isn't in the atmosphere and the best and clearest way to show that you love your husband as well as your family and his family is to keep your house looking clean. I'm not talking, pick-up-the-socks clean. I mean the glossy magazine cover of Good Housekeeping clean. This book will focus on maintaining each room of the house and as a consequence, how to maintain one's marriage. When I say maintain each room, I essentially mean that this book will explore how to keep tricky sections of the house clean as well as how to make it presentable. Appearance after all are for the sake of, well, appearances. It's always important to gauge the situation before you get started - what rooms need cleaning first? What is this person likely to scrutinize over? It's also important to have emergency plans for whenever someone really important comes over. For example, part of being married is that you should expect surprise drop-ins not only from your own family but your in-laws as well. This means that you should always keep certain places clean, and the best way to do this is to have a day-to-day routine. With the help of this book, you can get yourself on the track to being a better wife and making cleaning as easy as breathing. 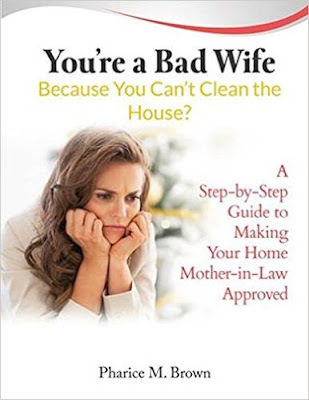 A native of Northwest Washington, D.C., author and entrepreneur Pharice M. Brown presents her first eBook, You're a Bad Wife Because You Can't Clean the House? A Step-by-Step Guide to Making Your Home Mother-in-Law Approved. Brown is President of her multi-industry firm, Pharice Brown & Associates, LLC, which offers a wealth of professional services such as environmentally safe cleaning and space management and event/meeting planning and management. In addition to penning You're a Bad Wife, Brown holds a plethora of top level positions, from current Public Relations Director for the JD Donaghe 2016 Presidential Campaign, to Chairperson for We Women International, a 501(c)3 nonprofit which supports, empowers and encourages women to reach their utmost potential. Brown has also served as an A&R Director and Manager for Roc City Records in North Carolina, as well as a television consultant for the award winning short film An Empire Divided and variety show Somebody's Shorts for DCTV. Numerous other honors, accomplishments and featured appearances grace Ms. Brown's career. She currently resides in the D.C. area with her two sons. 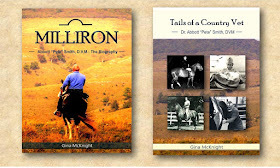 Don’t know what to feed your horse? Alexandra Wesker will guide you! 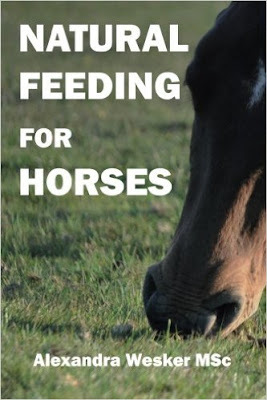 As the first book of its kind, Natural Feeding for Horses introduces a step-by-step feeding system based on how horses live in nature. 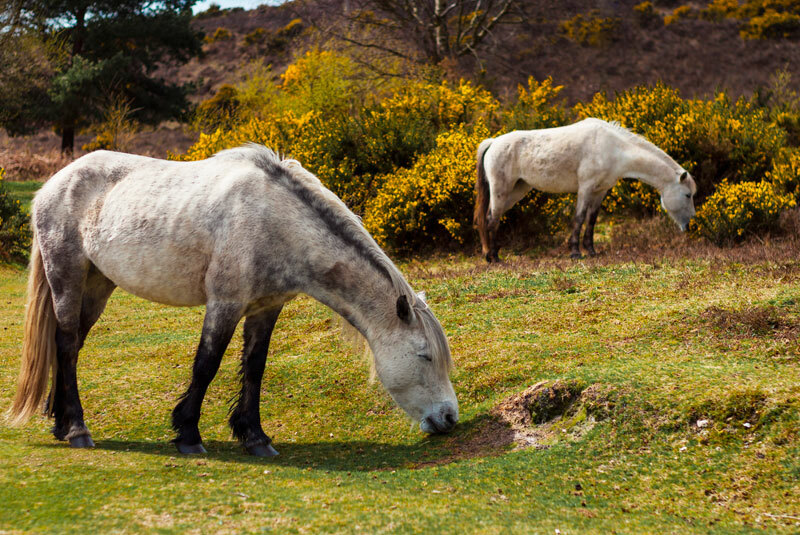 Aside from fulfilling your horse’s specific nutritional requirements, Natural Feeding supports the fundamental physical and psychological needs of horses, thereby helping to keep your horse happier and healthier for longer. Integrating scientific findings, Natural Feeding also helps to prevent serious health problems such as colic, laminitis and stereotypic behavior. 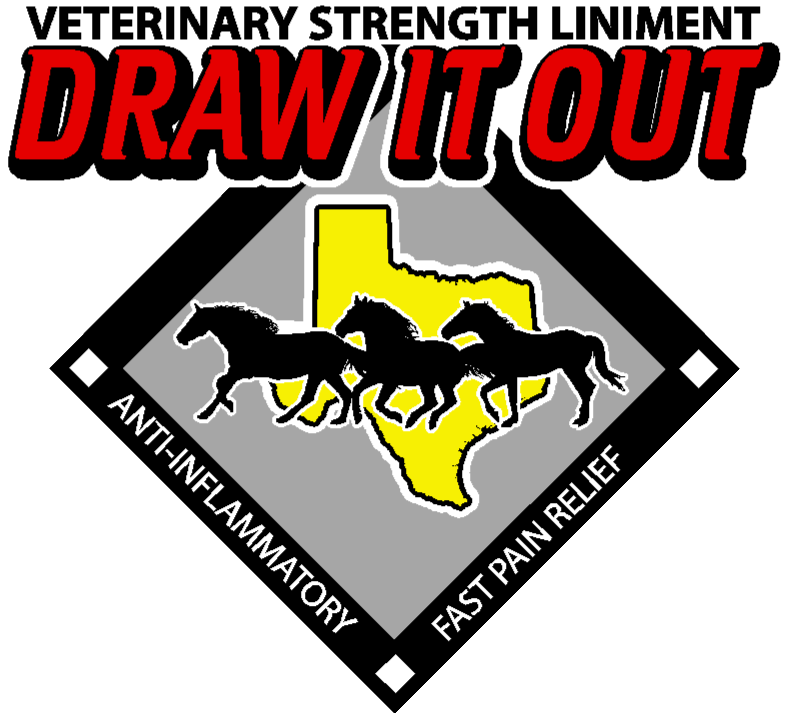 Alex is an animal scientist specialized in horse health. She is an independent consultant for horse nutrition and through her studies and love of horses has developed her Natural Feeding approach which puts the health of the horse first. 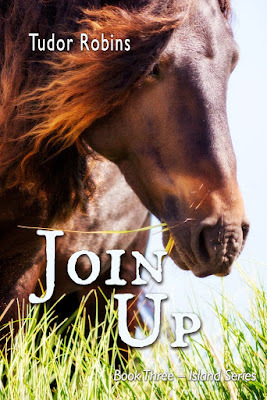 She is inspired by helping horses stay healthy and by showing horse owners how to make informed choices in feeding their horse. Alex has enjoyed riding from a young age and has a horse called Sensation. You can keep in touch with Alex via Twitter, @AlexandraWesker. 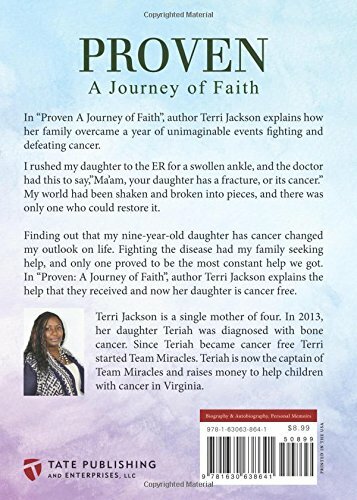 In Proven A Journey of Faith, author Terri Jackson explains how her family overcame a year of unimaginable events fighting and defeating cancer. 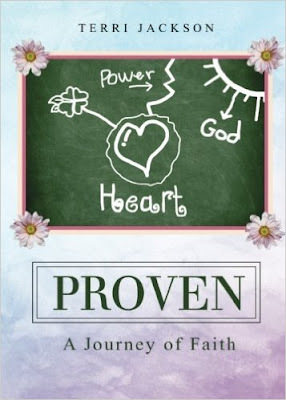 In Proven: A Journey of Faith, author Terri Jackson explains the help that they received and now her daughter is cancer free. In January 2013 this beautiful 9 years old girl was diagnosed with "Osteosarcoma" Bone Cancer. On April 30, 2013 her right leg was amputated. Three days later she walked with a walker again. Her heart begun to fail because of her chemo treatment, leading to a heart transplant on December 13, 2013. Her story is truly amazing, and God put His best together to care for her at MCV/VCU Campus Hospital. We, her family, say thank you! To learn more about this amazing little girl look online for the book: Proven: A Journey of Faith. Elizabeth used to corral me when she'd see me driving out to go to the stables to ride. Posing in her pink cowboy hat, be-rhinestone pink cowboy boots and size minus zero jeans, this charming seven-year-old would burble on about the couple of pony rides she had taken with her American Girl group. This sartorial ensemble was actually her tree climbing outfit, but that's another story. Elizabeth was all about sharing anything equine with me. My fantasy was to take this child riding with me. 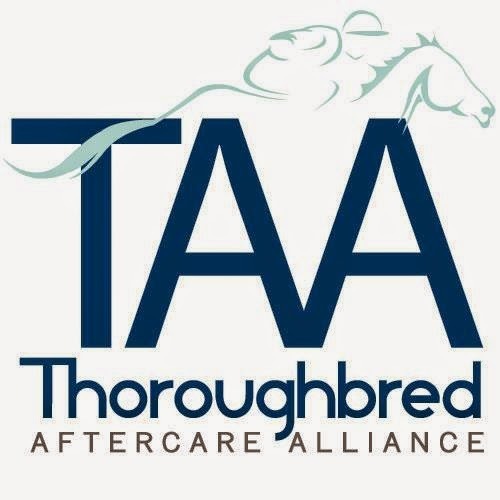 After clearing my scheme with Jan at the Equine Training Center and with Elizabeth's mother I just had to wait until my three month anniversary of healing after having my second hip replaced. Not only was I making prison-style hash marks on my calendar as to when I could ride again, but I found out that May 28th would be a perfect storm for my fantasy to take Elizabeth on her first ride on a real horse. Elizabeth would turn eight on the 27th. This would be two weeks before she and her family would move away from Tennessee to Virginia. She would be gone -- forever. Deadline looming, I cleared the date with Elizabeth's mom. I booked a time with Jan. I did my exercises to make sure my muscles were still sound after my surgery. I searched for and bought two pairs of "lucky" pink and purple socks for Elizabeth that were varied versions of the ones I wear -- pink and purple being her signature colors. The child was hopping-up-and-down ecstatic when I picked her and her mother up in my Mini Cooper convertible. After she decided we really should put the top down, Elizabeth chirped the entire 45 minutes to the stable. Jan had selected a well-mannered, soundly schooled real horse for Elizabeth. Mom and I just stayed out of the way as Elizabeth sponged-up the little bit of guidance that Jan gave her. Elizabeth settled into professional horse-handling mode. 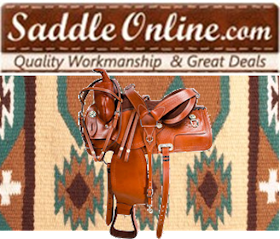 She groomed, helped saddle, hopped aboard, set her legs at the perfect line from her shoulder and that was it. She walked. She trotted. She guided the horse around poles. I'd never seen the child be so focused and serious. This was an unseen side of this joyous, happy-go-lucky child. Jan had the wisdom to assess Elizabeth and give her the trust to go to it like a big girl. Elizabeth spoke not a word on the way home. She seemed to be in a horse-trance. Once home, she told me two facts that were important to her. One, she hadn't been able to decide on which pair of lucky socks to wear, so she wore one of each. Two, this would not be her last ride on a real horse. She intended to find horses near to where they were moving and to ride all the time. Yes! 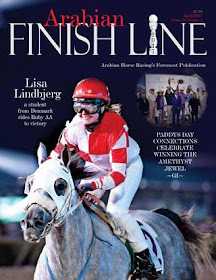 I created a budding horse junkie -- like me. 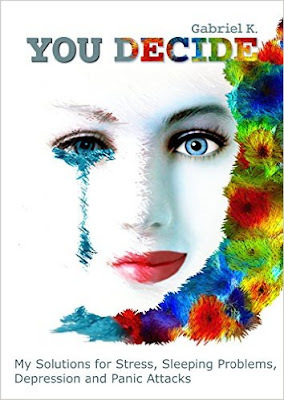 You Decide by Gabriel K.
A vary valuable guide to living depression free and low stress lives! We all meet difficulties in our life. Are we ready to face them? The author combines science, humor and his own experience to help the readers achieve a happy life. 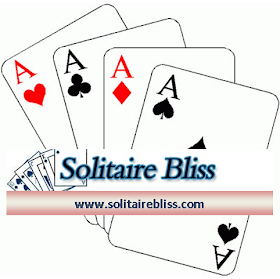 By using the methods described in the book, one can be really happy, healthy and relaxed. This self-help book contains credible and practical information, understandable to all, and deals with topics such as disease, old age, pain, and many more. 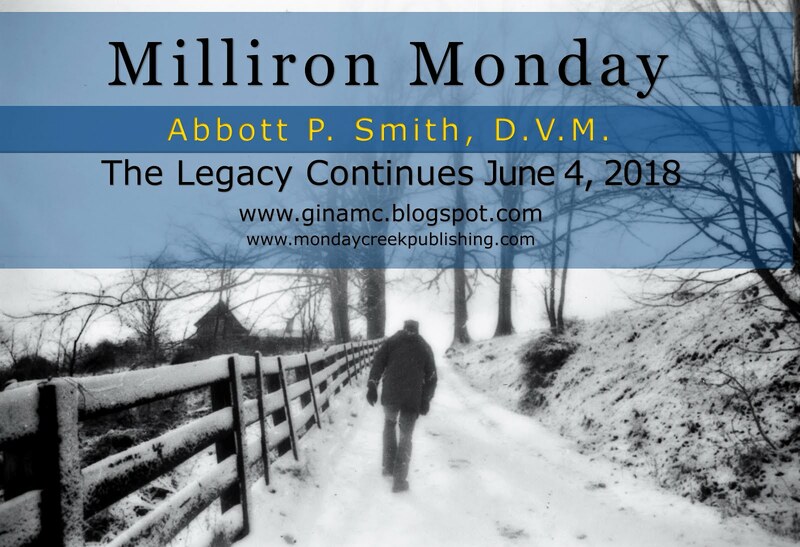 "My book, my own trustworthy story about the healing of my disease will help you recover, so that instead of living on the side lines, you can become the hero of your life! I created my own method by combining scientifically proven solutions with my own experiences. The effectiveness of this method has already been proven in the circle of my acquaintances and by fellow sufferers who had the same disease I had. Take control of your life!" My name is Gabriel Konrad. I’m a 39-year-old entrepreneur. My family has been engaged in agriculture for 40 years, so there was no question that when I grew up I’d take on this tradition. 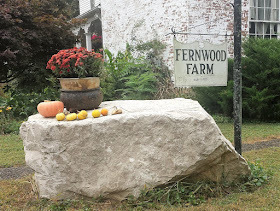 Sixteen years ago I took over the farm for my parents. Now I have 15,000 laying hens, and so a good quality backyard egg supply. I have a beautiful and smart 14-year-old daughter I live in a nice family home. Apart from being with my close and beloved friends, I love spending my free time with my animals. I have seven dogs, four Chihuahuas, two Hungarian Pointing dogs and a Pekingese. Furthermore I have five horses on my own little animal farm, so I go horse riding on a regular basis. In my opinion this is the real way to relax. Another special hobby of mine is using my metal detector. I love going around looking for old treasures deep under the ground. I can spend many hours doing only this. It is so relaxing that I can totally forget about the world that surrounds me during the week. In our urbanized world we just don’t use our body power any more. We travel by car, usually sit in front of a computer in our office for more than 8-10 hours a day, and then at home we are so exhausted from everyday problems that we just fall into our bed and stare at the TV. This couch-potato, lazy, motionless lifestyle causes most modern-day diseases – this is commonly known. If you are suffering from any kind of mental or psychological problems, you just simply cannot disregard your body and be lazy on the weekdays. Exercising has a stress-lowering affect apart from the fact that it is refreshing and healthy as well. Body-exercising plays an important role in my life; I exercise on a regular basis, three times a week, mostly doing TRX training (a type of training developed by the US army) and weight lifting. There is only one thing that can stop me from exercising: if I have a fever. Otherwise I keep doing it every week. Tudor Robins is an Ottawa-based young adult author whose first novel, Objects in Mirror, was named a Best Book for Kids and Teens by the Canadian Children's Book Centre. Tudor loves reading, writing, and horseback riding, as well as spending time on Wolfe Island with her husband and two sons. 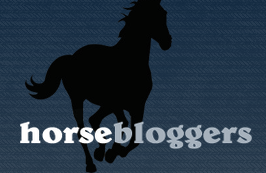 Read Tudor's Riding & Writing Interview here! 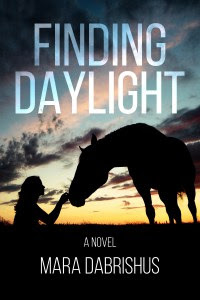 The perfect book for fans of YA romance and horses! 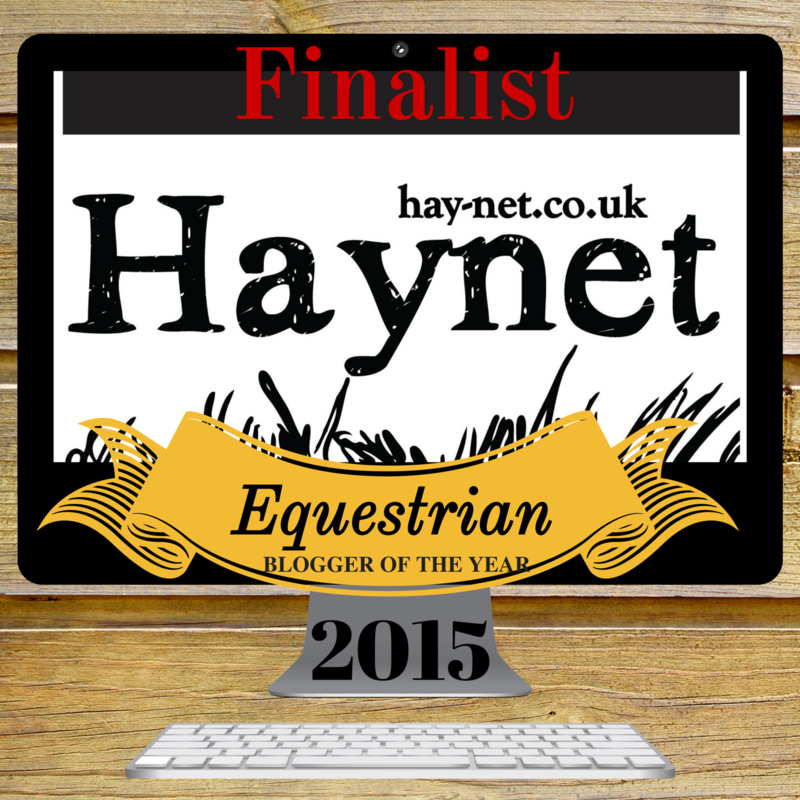 Georgie refuses to apologize, so she’s stunned when Harris asks her to ride his new colt. The most tenuous partnership in racing as begun. One that threatens to swallow Georgie whole. Aside from her Texas beginning, Mara Dabrishus spent the first two decades of her life in the Arkansas Ozarks. 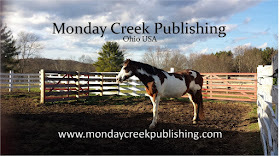 She pined for a horse and never received one, so she settled on writing about them. For the past several years she's ridden dressage, learning how to spiral in, half halt, and perform the perfect figure eight. 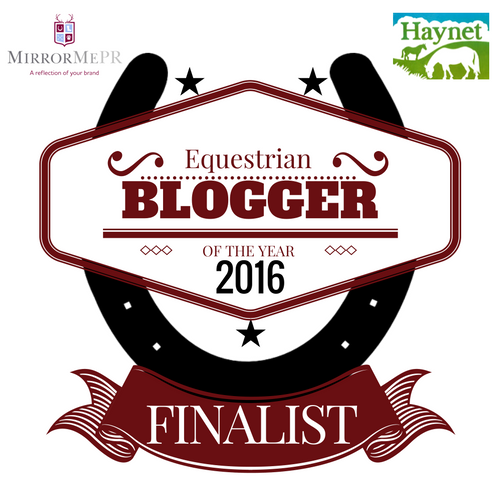 Read Mara’s Riding & Writing interview here! Reach Out to Horses: New Memes!